We’d love your help. 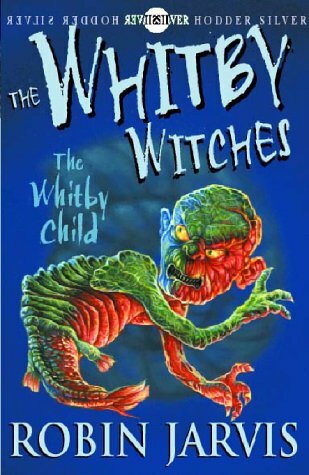 Let us know what’s wrong with this preview of The Whitby Child by Robin Jarvis. To ask other readers questions about The Whitby Child, please sign up. I didn't love this end to the series. Despite its tendency to be quite dark, this wasn't so much dark as it was hopelessly wrapped in despair. Creepy artwork again - and none of the characters looked like their descriptions, which was a disservice. I didn't like Aunt Alice one bit in this book. She was all kinds of unconcerned about everyone. Although there were plenty of creepy twists, the ending was satisfying. Still, this book series is really not intended for children, I think. Phenomenal finale to the original Whitby trilogy. It's a strange mix - I find it's like an episode of Heartbeat combined with a 70s occult-themed horror movie (and all of this aimed at young readers!). A very boring, horrible story. It's gross too but this makes no impact on the reader. You feel apathetic and don't really care what happens. It's also a quick fix at the end that's completely unbelievable. Jarvis is just relying on his old tricks again. Very disappointing. I can't lie, I loved Robin Jarvis books more that any other. My mum was very, very strict about what I watched on tv but she let me read whatever I felt I could understand, something I will always appreciate. I remembered the cover vividly, I remember her holding it up in a bookshop and me trying to explain that nothing in the story seemed as frightening as the freaky artwork, and that I didn't picture the characters that way. There was nothing so bad in the stories that it haunted me (the single I can't lie, I loved Robin Jarvis books more that any other. I remembered the cover vividly, I remember her holding it up in a bookshop and me trying to explain that nothing in the story seemed as frightening as the freaky artwork, and that I didn't picture the characters that way. There was nothing so bad in the stories that it haunted me (the single Jarvis exception being Jupiter's Deptford Mysteries, which made me cry, but I coped). Because Whitby Witches was so well-written, relatable and smart without talking down to the younger audiences, on the face of it I would have given it 10/5 stars. However, there was always some weird uncomfortable nagging thought that I associated with the Whitby Witches, so, at 26 years old, I went back and reread them. In this series that involved subterfuge. lies, fury and denial from the heroes this was painted as a black and white issue. I think I would have been bothered at the way it was portrayed if I was 13-15 years old, but as I was younger I was used to passing over passages I didn't understand. I am in no way pro-censorship, but I think authors aiming at young audiences should understand what they are undertaking and take it upon themselves to not write their own beliefs into a novel when they are so so strong and black-and-white, especially when it isn't aimed at a pro-religious group. Better than book 2 but not as good as book 1. I think Jarvis had forgotten by this point how old his characters were, especially Jennet, as she is portrayed as much older than 12 (and Ben 8). It took me a while to finish this, the middle seemed to take ages, but the ending, once it got exciting, flew by. Can't make up my mind whether I'm happy or not with how the trilogy concluded, probably not overall as its too neat. Still, it's a unique series and I'd recommend it to teenage readers! Interesting completion to this series - lots of action and some unexpected twists and turns - I was surprised to have characters from the previous two books re-appear. Lots of storms and bad weather on the seas - was interesting to read this during a thunderstorm/windstorm in Iowa...kinda freaky. The Whitby Series concludes on a creepy high with the birth of a child that should never have been born. Jarvis knows how to unsettle people, and this book is beyond unsettling as far as children's literature goes. Again, this is a very tense book, lots of dark and miserable story lines but overall worth reading to complete the trilogy. Can't talk right now. Something in my eye. And my throat. What? Oh no, they're not tears, I just splashed my face with water or whatever.